Moe Golf Club - the Latrobe Valley’s finest golf course! 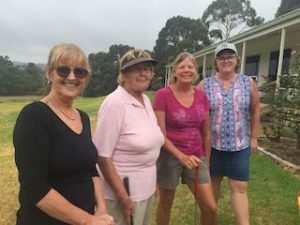 Moe Golf Club is one of the Latrobe Valley’s finest golfing challenges. It offers towering native gums lining snaking fairways. This 18 hole championship course is set in two parts. The first nine is slightly undulating with a number of different holes that require plenty of accuracy on the approach shots, the back nine is longer and opens up with views of picturesque Lake Narracan and surrounding mountains. The course features good sized bent greens and generous legend fairways. A delightful experience for golfers of all standards. Moe Golf Club has a fully licensed clubhouse with a real family and friendly atmosphere. Green fee players and Group bookings are welcome.